The memory of September 11, 2001 is burned indelibly into the minds of anyone who was old enough to remember it. In the space of a few hours, the course of American history changed and the country was set on a new course that diverted drastically from where we saw ourselves going as a nation. Everyone knows that the September 11 attacks started the War on Terror, a conflict that is still going on today, but they did much more than that. The fall of 2001 saw America at peace and prosperous. Both soon changed. An often forgotten result of the attacks was the crash of the stock market on September 17 after markets reopened. At the time, this was the largest single-day stock market crash in U.S. history. The response of the Federal Reserve to the impending recession was to lower interest rates to stimulate the economy. Prosperity soon returned amid the fighting in Afghanistan and, two years later, Iraq. One segment of the economy that was aided by the low interest rates was real estate. Together with government policies that encouraged subprime mortgage lending, the low interest rates fed a housing bubble. The bubble burst in 2008 and led to the Great Recession. Almost seven years to the day, two more stock market crashes displaced the 2001 crash as the largest in American history. As the economy sputtered to a halt, a relatively unknown senator surged forward in the polls. Barack Obama emerged from the stock market crash as a beacon of hope for the country. Although he started as an antiwar candidate, without the economic crisis and John McCain’s missteps in responding to it, it seems unlikely that the radical and inexperienced Obama would have been elected president. Obama’s presidency fundamentally transformed America. His Supreme Court nominees redefined marriage and overturned thousands of years of tradition. His government takeover of the health insurance industry caused healthcare prices to skyrocket. His regulation of business strangled the economic recovery and left millions without jobs. Obama added more to the national debt than all other presidents combined. His foreign policy was felt around the world. His withdrawal from Iraq allowed ISIS to flourish. His failure to intervene in Syria allowed that civil war to fester and become a humanitarian and security crisis. Under Obama’s watch, Vladimir Putin set out to recapture the Soviet sphere of influence from the Cold War and invaded Ukraine, an American and NATO ally. Likewise, China expanded into the South China Sea with manmade islands to serve as military bases. Iran continued on the course to become a nuclear power. In the middle of Obama’s first-term foreign policy was Hillary Clinton, the new secretary of state, who he had bested for the Democratic nomination in 2008. The truce between the two rivals established Hillary as the almost certain successor to Obama as the Democratic standard bearer in 2016. If Obama’s administration led to problems around the world, it also caused the crackup of the Republican Party at home. Without a majority in Congress that could override the presidential veto or overcome a Democratic filibuster, Republicans were powerless to stop the president’s abuse of executive power. Republicans were able to block new legislation, but unable to roll back laws that the Democratic Congress had passed early in Obama’s first term. The impotence of the Republican opposition led to anger from the conservative grassroots. First, Ted Cruz rose to prominence as a first-term senator who made a name for himself by dividing the party against the “establishment” that he claimed was in a league with the Democrats. When Cruz’s strategy of a shutdown failed in 2013, he only became more popular by using the Republican leadership as a scapegoat. As the 2016 presidential race formed, Cruz was an early favorite. He was trumped by another outsider candidate, however. Businessman Donald J. Trump emerged from nowhere to seize the mantle of the anti-establishment candidate. To many Republicans, it didn’t matter that Trump was a New York liberal who had supported Hillary Clinton up until he decided to become a Republican candidate. Trump capitalized on voter anger at both Obama and the Republicans. 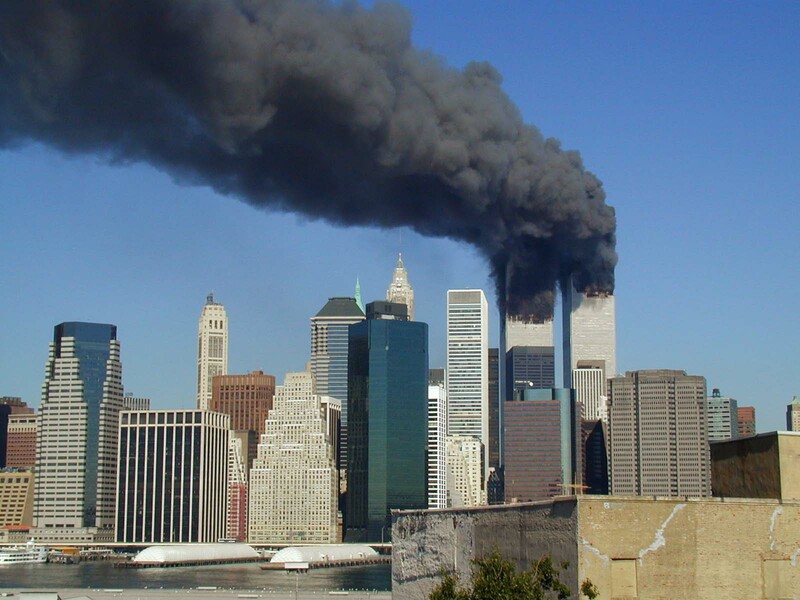 Without Osama bin Laden and the September 11 attacks, U.S. history would be very different. Obama would not have risen to prominence without the war. Without the attacks, the housing correction might never have become the Great Recession. John McCain might have been elected in 2008. Without eight years of Obama, America would not be faced with the choice of Hillary Clinton or Donald Trump, the two most unpopular and unqualified candidates in history. In 2001, we could scarcely see how destructive the legacy of attacks would be or how long their consequences would impact the country. War, recession, bad leadership and national division all stemmed from the actions of 19 hijackers. The country has not been the same since September 11 and never will be. Is Trump really better than Hillary? How to vote "None of the Above"